While there are many laws that I would like to see modified, perhaps one of the laws that is most deserving of modification is the offense of possession of drug paraphernalia. According to North Carolina General Statute 90-113.22, “it is unlawful for any person to knowingly use, or to possess with intent to use, drug paraphernalia to plant, propagate, cultivate, grow, harvest, manufacture, compound, convert, produce, process, prepare, test, analyze, package, repackage, store, contain, or conceal a controlled substance which it would be unlawful to possess, or to inject, ingest, inhale, or otherwise introduce into the body a controlled substance which it would be unlawful to possess.” So what is drug paraphernalia? Under North Carolina General Statute 90-113.21, drug paraphernalia is defined as “all equipment, products and materials of any kind that are used to facilitate, or intended or designed to facilitate, violations of the Controlled Substances Act, including planting, propagating, cultivating, growing, harvesting, manufacturing, compounding, converting, producing, processing, preparing, testing, analyzing, packaging, repackaging, storing, containing, and concealing controlled substances and injecting, ingesting, inhaling, or otherwise introducing controlled substances into the human body” Along with this broad definition, the statute also lists several specific examples of items that are classified as drug paraphernalia. Some of those examples include scales, plastic bags, rolling papers, pipes, and bowls, just to name a few. The fact that the possession of drug paraphernalia is unlawful is not surprising. However, the possible punishment for the possession of drug paraphernalia is surprising and may lead to unfair and nonsensical results in some cases. Let’s start with the basics. Any individual who is convicted of the possession of drug paraphernalia shall be guilty of a class 1 misdemeanor, which means that a conviction for this offense may result in a possible maximum jail sentence of 120 days. This sentence may not seem that unfair for an individual who is also charged with a felony drug offense or a misdemeanor drug offense which is also a class 1 misdemeanor. However, the unfairness becomes apparent for an individual who is charged with a class 3 misdemeanor along with the offense of possession of drug paraphernalia. An individual charged with a class 3 misdemeanor faces a possible maximum sentence of only 20 days, and one example of a class 3 misdemeanor drug offense is the possession of up to one-half ounce of marijuana. In many instances, individuals who are charged with a class 3 possession of marijuana are also carrying or storing that marijuana in a plastic bag or that individual is also in possession of rolling papers or cigar papers to smoke the marijuana which is currently in their possession. In that scenario, individuals who are charged with both the class 3 misdemeanor possession of marijuana and class 1 misdemeanor of paraphernalia (plastic bags, cigar papers, or rolling papers) actually face more time for possessing paraphernalia than for actually possessing drugs. Let me repeat that. A defendant can receive a possible maximum sentence of 120 days for a plastic bag that was being used to carry or store the marijuana, but that same defendant only faces a sentence of 20 days for the marijuana that was being stored in that same bag. If the legislature has already determined that an individual who possesses one-half ounce of marijuana or less should be exposed to no more than 20 days in jail (a class 3 misdemeanor), then does it really make sense in that scenario that the punishment for possessing the accompanying paraphernalia charge should exceed the possible punishment for the drug possession offense? After all, possessing plastic bags, rolling papers, and cigar papers alone doesn’t constitute a violation of our criminal laws. The possession of these items only becomes unlawful once drugs are involved. Therefore, I would propose the following modification. In those instances, where the drug possession offense only constitutes a class 3 misdemeanor, the possession of drug paraphernalia would likewise only be punishable as no greater than a class 3 misdemeanor offense. However, the law would remain unchanged where the drug possession offense results in a conviction of either a class 1 misdemeanor or felony. In those instances, the possible maximum punishment for possession of drug paraphernalia would still remain as a class 1 misdemeanor. The possession of drug paraphernalia is a serious misdemeanor offense with serious penalties and consequences. If you are charged in North Carolina with the possession of drug paraphernalia or any other felony or misdemeanor drug offenses, you need an experienced criminal defense lawyer in North Carolina who is able to assist you. Please call me today for a free consultation in my office, which is located in downtown Winston-Salem, North Carolina. 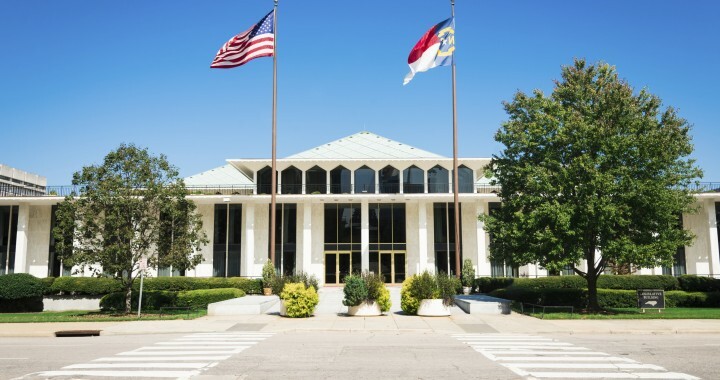 ****UPDATE – On December 1, 2014, the North Carolina legislature changed the law to distinguish between marijuana paraphernalia and paraphernalia for all other drugs. Now, under N.C.G.S. 90-113.22A, the charge of marijuana drug paraphernalia is punishable as a class 3 misdemeanor. Posted in blog and tagged 90-113.22A, criminal defense, Criminal law, drug charges, Forsyth County drug charges, marijuana paraphernalia, Winston-Salem criminal attorney.